It is such an advantage to see garments on real people, of different sizes, shapes and ages. Models are great, however one needs a realistic picture of what can be achieved. There are no nips and tucks, or pegs behind their backs giving them a better silhouette, nor any camera tricks! 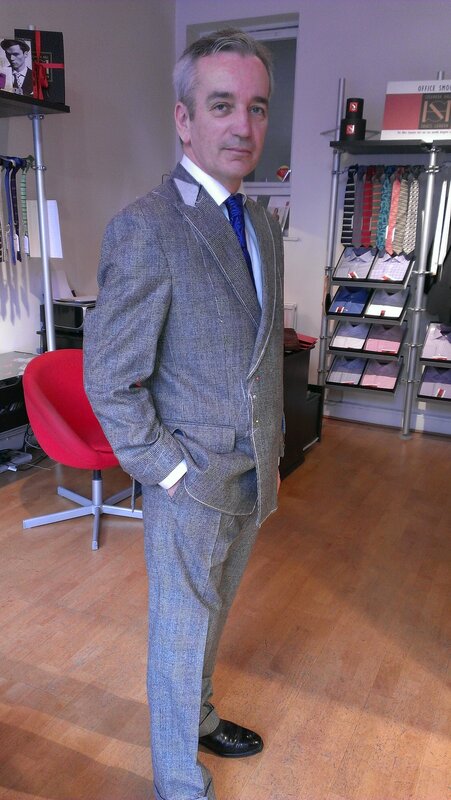 Just wonderful suits all individually designed and made by British Craftsmen. What more can one want! 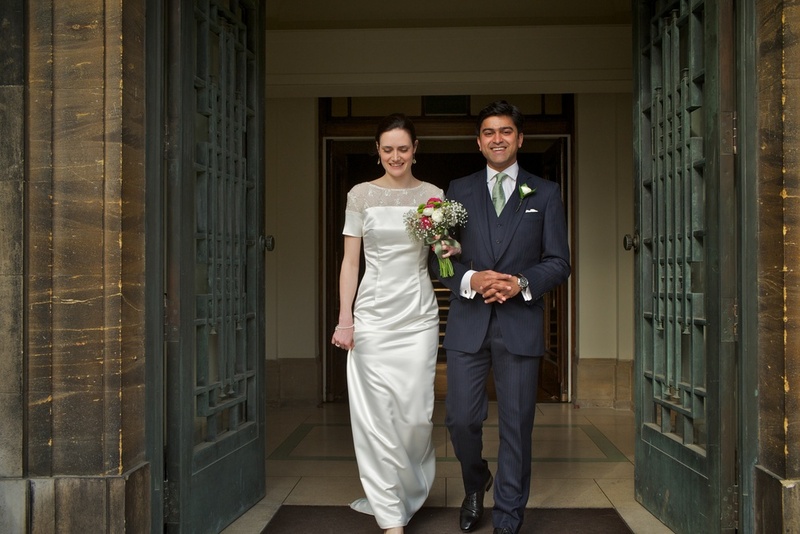 We have fabulous clients who have kindly sent us images of their weddings, civil partnerships, and other lovely occasions. 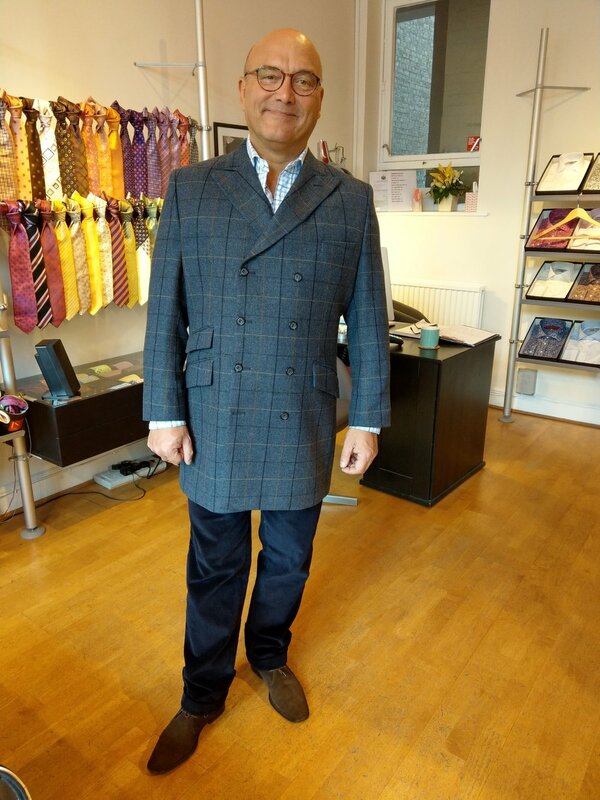 It is rare to have a client who sends us a ‘selfie’ from the office even though that is a major part of our bespoke tailoring! 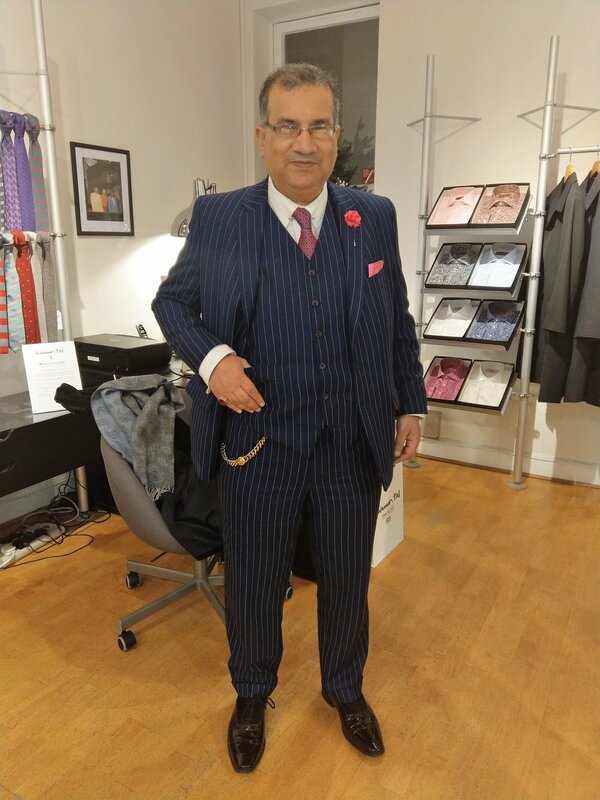 These images include suits, coats, three piece tweeds, ladies’ suits, dinner suits, shirts, ties and accessories, all made in an exciting variety of cloths.